Splat! Another way of making a themed party very special indeed. 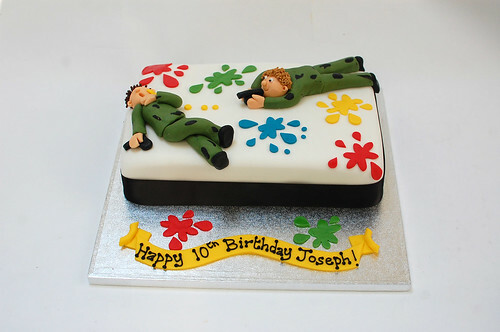 The Paintballing Cake – from £75.